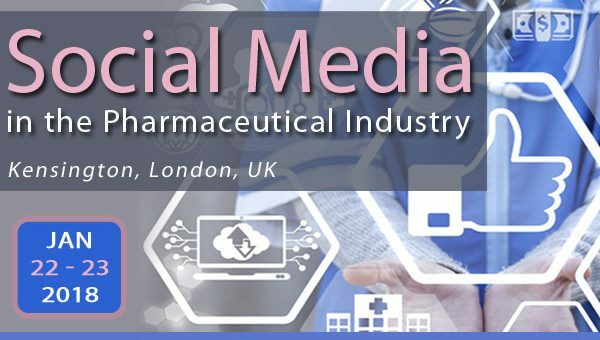 Kickstart 2018 and attend the SMi’s 10th Annual Social Media in Pharma conference in just 2 weeks! Benefit from GSK, Pfizer, IBM, Janssen, Roche, CREATION, pharmaphorum, The Conversationalist Agency, Bristol-Myers Squibb, MSD, ABPI, and more! With an agenda full of exciting and new approaches for communicating with patients online, dive deep into topics surrounding social listening, interactions and engagement, writing effective content and tracking ROI from social media, and why social media is important in pharma. – What does good social media content look like today, and how is it changing? – Which content frameworks and tools will help you understand your audience and create better content to create a successful social media strategy? – What can be gained from targeted content?